The density of a fuel tested at 15 deg C may approach, be equal to or greater than that of water. With high density fuels, the reduction in density differential between fuel and water can cause a problem with separation but not with the usual solid impurities. Heating of the fuel (Figure 1 below) will reduce the density and this may be sufficient in itself to obviate the problem of water separation. 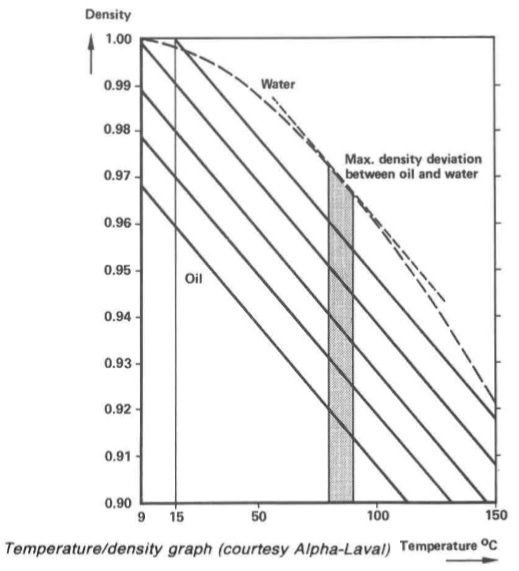 The change in density of water with temperature (dotted line) is not so pronounced, as can be seen from the graph, so that heating produces a differential Some caution must be exercised in heating the fuel. 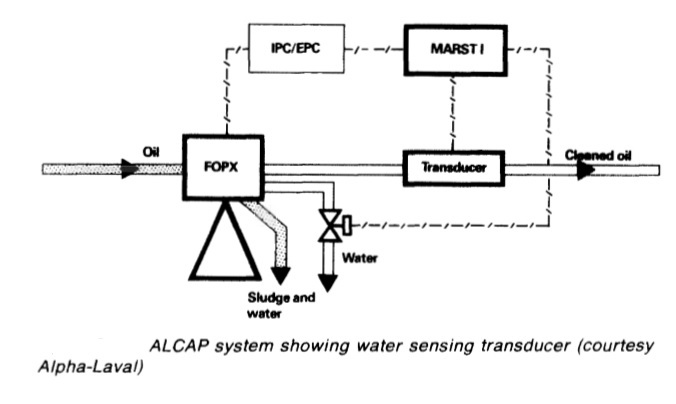 The Alfa-Laval design of centrifuge (Figure 2) intended for dealing with high density residual fuels, is a self-sludging machine which has a flow control disc that makes it virtually a clarifier. There are no gravity discs to be changed to make the machine suitable for fuels of different specific gravity/density. 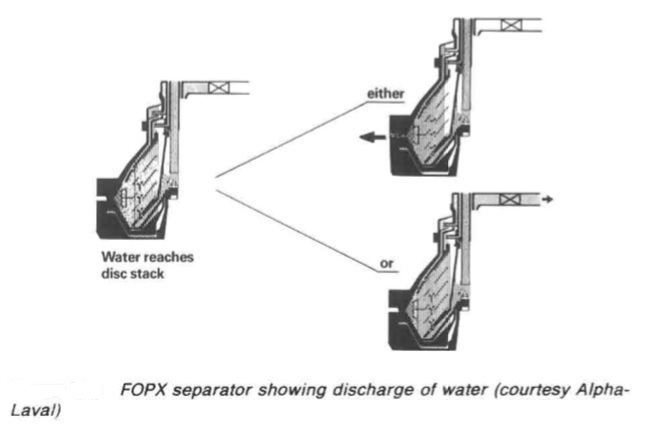 Heating is used to reduce the density (and viscosity) of the fuel so that water and sludge accumulate in the outer part of the bowl, as the result of the centrifugal effect.